PUNE, INDIA – Akshay wears a green button down shirt, slacks and a spotless pair of shoes. We meet on the sixth floor of the Metro Global Services office, located in a corporate campus just outside of Pune. Akshay’s smile is full of confidence and enthusiasm as he speaks about his work at Metro where he is a member of the eight-person accounts payable team. At first, he seems like any other young professional: ambitious, hard working and proud to have landed the first job of his career. But for Akshay, who returns home every night to the slum community across town where he grew up, this is more than just a job. It is an opportunity to change his life trajectory – and that of his family as well. Akshay credits his parents, first and foremost, for helping him get to where he is today. “They always encouraged us to pursue our dreams,” he says. Beyond his parents, one other source of support has been transformative for Akshay. Without it, a position at Metro would have been unthinkable. 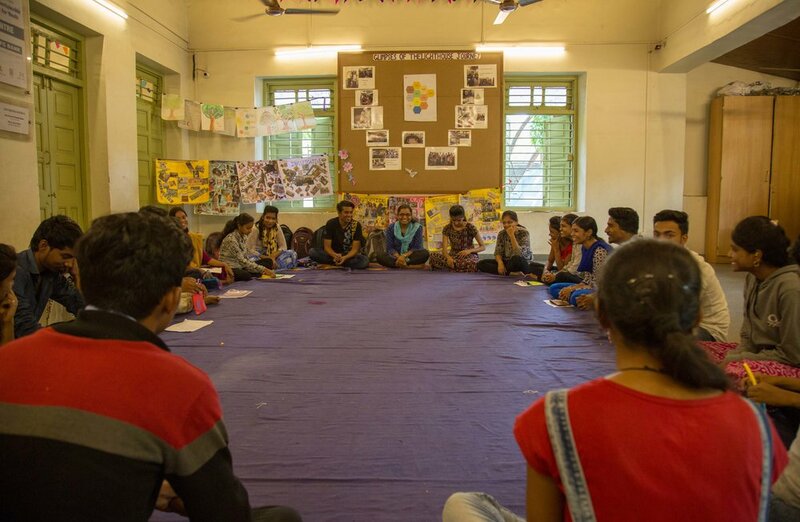 That is The Lighthouse, a new program in Pune for young people from marginalized communities that is re-defining what it means to do skills development and placement in India. The Lighthouse is a collaborative project of Pune Municipal Corporation (PMC) and Pune City Connect (PCC), a non-profit that provides a platform for collaboration in the city. PCC’s mission has two parts: 1) to institutionalize a forum for stakeholders in the city (government, corporates, NGOs and citizens) to work in synergy toward decreasing class hierarchies that impede upward mobility and 2) to reduce the partition between the government and citizens. The Lighthouse is one of its many initiatives. With a population of close to four million, Pune is the ninth largest city in India. Across the country, India faces a massive youth employment challenge in the years to come. According to the World Bank, more than 12 million youth between 15 and 29 years of age are expected to enter the Indian labor force every year for the next two decades. The Indian government’s recent skill gap analysis concluded that by 2022, another 109 million or so skilled workers will be needed in the 24 keys sectors of the economy. At present, however, there are few opportunities to acquire job specific skills; only 2.3 percent of India’s workforce has received some formal skills training. The Lighthouse takes a different approach. Rather than having as its sole or primary focus to give workers the skills required for future jobs, the Lighthouse puts the young person’s dignity and entrepreneurial potential at the center of its program design. This is one of the reasons that the young people who enroll at the Lighthouse frequently express a deep sense of belonging, appreciation, and even love for the Lighthouse. In India, places that offer this nature of opportunity to urban disadvantaged youth are, indeed, few and far between. But as the Lighthouse model scales up across Pune and begins to receive national attention, that may be poised to change. In the long run, the goal of the Lighthouse is to unleash social and economic transformation in slum communities across the city by establishing one Lighthouse in each of the 15 administrative wards of Pune. Since it opened in June 2016, 4,100 young people ages 18-30 have enrolled into the Lighthouse’s various skilling programs. Over 1,400 youth have completed their skilling programs, and more than 800 youth have been placed – meaning they either have jobs or are entrepreneurs. 85% of the youth who are placed have never previously earned money independently. 60% of the enrollments into the Lighthouse are young women. And yet, the most important contribution the Lighthouse has to offer to Pune, to India, and to any stakeholder system concerned about youth employment may be the one that’s hardest to quantify: the long-term impact it may have on a young person’s sense of agency. In putting the dignity of young people at the center of its work, and building programs around their skills and aspirations, the Lighthouse challenges those interested in the future of cities and the future of work to consider an intriguing possibility: that a skilling program designed to work at scale for large populations of historically marginalized people can at once honor the dreams and dignity of each individual while simultaneously meeting the needs of employers and generating positive social indicators that matter to government. In fact, the Pune Municipal Corporation has provided all the capital investment in each Lighthouse – a point worth noting because the young people take immense pride in the fact that their government has created this space for them. Intrigued by this approach, and curious how it is unfolding in its early stages, I visited Pune in January and July of 2018 to hear young people speak about why the Lighthouse matters to them, and to learn the underlying principles and practices that have made the Lighthouses of Pune successful to date. The Lighthouse in the Aundh Ward of Pune is an unassuming single-story brick building with a blue corrugated roof in the corner of a municipal lot. Seen from the road, it’s nothing remarkable. But approach the entrance and you’ll hear lively conversation, laughter and the occasional song pour through the open front door. On a Tuesday in early July, thirty young people sit together in a circle, deep in conversation in the main activity room. In the entry hall, others work at computers. They are learning programming and design skills. A group of college-aged students stand and talk around the front desk. Against the far wall, apart from the crowd, a young man leans over a table and puts the finishing touches on his latest drawing of the Buddha. While a young person must come from one of Pune’s slum communities to be eligible to enroll at a Lighthouse, these young people bring a variety of life experiences and educational backgrounds into their search for sustainable livelihood. Some have completed a bachelor’s degree while others have no formal education. In February 2018, a researcher from the Indian School of Business found that a significant majority of the learners at the Lighthouse are employable youth, especially women, who are not empowered to select into traditional employment because of their socio-economic backgrounds, including limited education. But to understand why someone like Komal, quoted earlier, would say it’s hard to believe a place like the Lighthouse exists, it’s important to understand the circumstances in which she and many of her peers come from. In a small office adjacent to the main activity hall at the Aundh Lighthouse, I sit down for a conversation with Komal and Sonam. The two women have a friendship that neither can quite put into words. Though only in their mid-twenties, both have already worked for nearly a decade to earn a living. Komal was 15 when she left home. As a minor, it would have been illegal to work, so she found informal employment as a maid or caretaker in various homes. Her living situation was unstable. She stayed with extended family members or with the families whose homes she cleaned and cared for. Sonam was married at age 17. Initially, all was well. But after some time she and her husband starting fighting. “Huge fights,” Sonam said. Then Komal came into picture. The two had been friends and Sonam knew that nobody was supporting Komal. Secretly, she offered Komal a place to live. Sonam knew that if her husband and in-laws found out that it would spell trouble. Eventually, when the secret got out, both girls were sent away to live on the streets. With only a backpack full of belongings between them, they found a room and looked for work. There were times when each worked three jobs per day cleaning hotels and offices, sometimes working 22 hours in a day just to make ends meet. Gradually, they were able to save some money and live more comfortably. Then in April 2018, one of Komal’s employers learned about the Lighthouse and recommended she enroll. 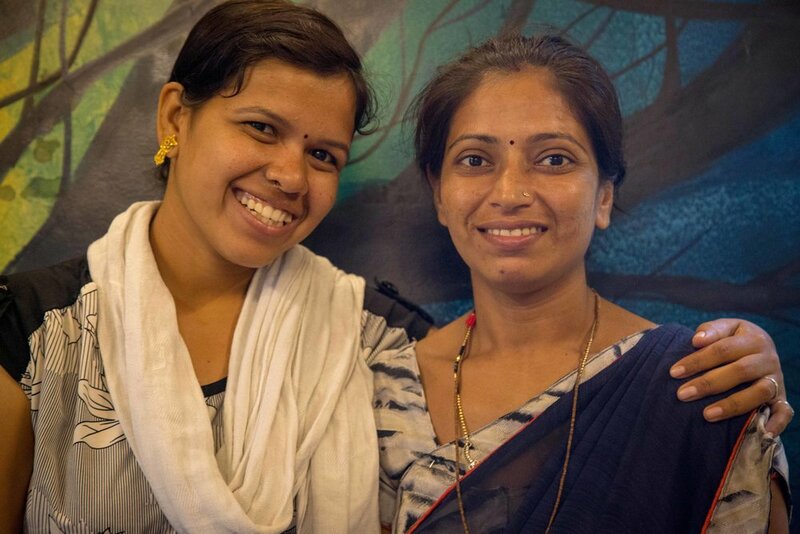 Most young people in Pune hear about the Lighthouse through word of mouth, either via a friend, sibling, or sometimes – as was the case with Komal - an employer in the informal economy. Upon arrival, the first thing a young person encounters is a physical space designed to mirror the essence of the program. Because of the circumstances in which they live, young people from marginalized backgrounds typically do not encounter conditions to develop the foundational ethical, emotional, social and cognitive competencies that people from more privileged backgrounds experience, and which help them succeed through their working years. Accordingly, the designers of the Lighthouse program understood that the opportunity to build a strong foundation of these competencies requires an intensive exposure to the alternative. The physical space sets the tone for this. The front of the Lighthouse in the Aundh Ward, for instance, is framed by large windows. The rooms inside are spacious and open, creating an experience of expanse upon entrance. The physical space communicates a key aspect of the program as a whole—that one is entering a free, open space, without structured hierarchies of access in which a young person from a marginalized community can explore the world as an equal. When a young person comes to the Lighthouse, they are shown around the space and given an overview of how the program works. If they decide to join, the duration of a program is two to six months. Learners join in cohorts, typically consisting of 25 learners. The overall journey through the Lighthouse program unfolds in roughly seven stages, which are outlined below. The first step of the program is to reach out to the youth and the community. Staff will make home visits in communities, youth leaders in the lighthouse speak with family and peers, and existing network of NGOs, PMC personnel and local corporates host events at the Lighthouses. A young person’s journey at the lighthouse begins with the Foundation course, an 80-hour course focused on building individual agency alongside a range of workplace competencies. This is perhaps the most significant innovation the Lighthouse brings to skills development. At the Lighthouse, the concept of having agencywithin oneself refers to the capacity of an individual to determine his or her future. Through the interplay of creative exercises, mindfulness practices, group challenges and learning from individuals who have experienced success, young people at the Lighthouse start to see themselves in a new light and connect with their inner space of possibility. Another day, a session included a modified version of the Social Presencing Theater “Stuck” exercise. In small groups of four, each young person took turns forming a shape that expressed the embodied sensation of being held down by forces in one’s life. Then, they moved in a way that allowed them to break free of those forces and discover a new place of equilibrium. One of the young women was so deeply impacted by the exercise that she broke into tears, and was consoled by her peers. The next day she reported feeling a new sense of freedom and possibility. In a third session, small groups were collaboratively designing and constructing (with paper and play materials) a wallet. Each group member had a different role to play (designer, producer, consumer) — and through the process, and the subsequent debrief, they learned to consider the elements of a production process, and to consider a scenario that might arise in a work environment from multiple perspectives and viewpoints. Over time, these and many other related exercises help a young person establish a sense of inner agency and confidence. In the context of a skilling program, the goal of conducting the foundation course prior to the actual skills training is to enable young people to take responsibility for the choices they make in their journey towards financial independence and make informed decisions regarding their career path. The belief is that only after a person has cultivated an inner space of possibility can they step foot onto the path of sustainable livelihood. As Amruta, the Lighthouse Program Head, puts it, “what’s the background of moving forward [toward sustainable livelihood]? It’s having an internal space of possibility. If A doesn’t work then B will work; if B doesn’t work then C will work. Whatever is the changing context, how do I place myself and take a first step?” This is especially true for in today’s market environment, one that is subject to rapid change and disruption. This type of capacity building is an essential part of what makes the Lighthouse successful. By working on personal values alongside competencies, the Foundation course offers each young person their unique ground to stand on and engage with the workplace, the world and oneself. It paves the way for improvement of performance at the work place and understands what it means to be an effective employee at the workplace. Further, it guides each one on how to adopt a culture of behaviors that are recognised and rewarded. Young people gain insights on two critical questions that define their search for a successful career: Who am I? What unique competencies do I bring to the workplace? The Lighthouse counselors use Skill Analysis Test Battery (SATB) to help determine the overlap between the youth’s passion, talent, and existing market opportunities. The counseling process also incorporates a young person’s aspiration and context (family background, education, etc.) to find the most suitable skilling choice for the young persona. With the industry exposure sessions, young people are made aware of the career paths and market realities in different industries. During the foundation course, students conduct self-assessments to track their progress. Only after the Foundation course does a young person chooses a vocational program that aligns with their interests, skills, and understanding of market realities. As of this writing, the Lighthouse offers 33 skilling courses from 21 different partner organizations, including courses such as computer programing, design, tailoring, nursing, cooking and makeup artistry. Simultaneously, program staff support each person through one-on-one counseling and mentoring, which helps them integrate what they’re learning about themselves with the developmental path they need to follow to be ready for job placement. Of course, the skills training should not be seen as a wholly separate stage from the Foundations Course. Much of the personal growth that’s seeded in the Foundations Course comes to fruition through concrete actions during vocational training. “Why was that so important?” I asked. Because the Lighthouse was created through collaborative approach via Pune City Connect, which includes Corporates and NGOS, young people have access to a network of potential employers, and employers have a trustworthy pool of potential employees to hire from. Throughout the Lighthouse program, young people are offered various placement opportunities and are offered mentoring and coaching to help them find jobs and take the next step forward in their lives. Coaches help with interview readiness, family counseling (when needed), and post-placement support. Because the Lighthouse aims for sustainable livelihood rather than just placement, there is a placement coordinator at each Lighthouse that continuously tracks students who have completed the Lighthouse program. Coaches and counselors remain available to help with the transition into work. The idea is to help both the employee and employer navigate the transition into unfamiliar territory. Often, it’s not only the young people who need to learn the skills needed to succeed in new lines of work. Employers also need to understand the challenges that a young person who comes from marginalized communities might face, whether that’s adapting to a professional environment or working while caring for family members going through difficult situations at home. Once the employee reaches three months, only then does the Lighthouse consider them placed. Lighthouse alumni are welcome to return to seek any support they may need, whether that be how to manage challenges at work, mentoring and coaching support or even just to return to an environment where they know they can be themselves. They are also invited to share their journeys with new students to provide encouragement and motivation. Alumni also have access to programs that help them continue to improve conversational English and computer skills, and are also invited for various industry exposure sessions and community engagement activities. As mentioned above, the Lighthouse is designed to not only a be skills development and livelihood center but also a hub for the community as a whole and an instrument of social transformation of the entire ward. It is a space for knowledge dissemination through books, electronic media, workshops and programs. During my visits, there was a pervading sense of joy and community at the Aundh Ward Lighthouse. There was no sense of hierarchy; in fact, it mostly felt like the young people had assumed full ownership over the space. It was also never entirely obvious which young people were enrolled in programs and which were simply visiting. Adults would come and go from time to time. The experience was one of an open, free, community center that was a source of pride for those who were there. The Lighthouse co-conveners hope that after five years these young people who have walked the path of sustainable livelihood will become leaders in their communities. “The idea is that if 20% of the community has started to walk the path of sustainable livelihood, then the dynamics of that community will start to change — and that may bring greater economic and social change,” says Amruta. While it’s too soon to tell whether this aspiration will come to fruition, it is possible to see the early seeds of such possibility in the lives and family situations of Lighthouse graduates such as Akshay. This story was originally published on the Presencing Institute’s Transforming Capitalism Lab platform.